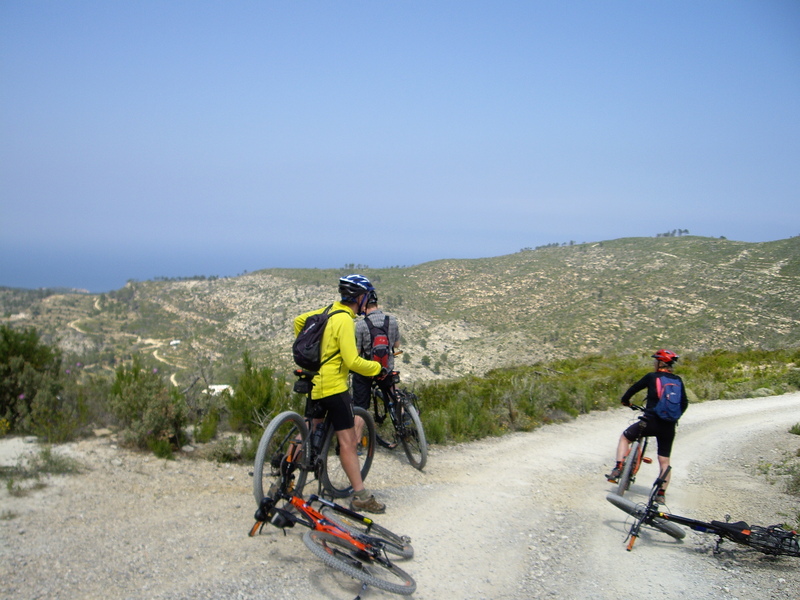 At the beginning of May I went on a mountain biking trip to Ibiza. We were a party of eight including two from York Alpine Club. We flew out to Ibiza on a Jet 2 package holiday staying in a modest hotel in Santa Eularia on the south coast of the island. On arrival we picked up our hire bikes, Orbea hardtail 29ers, new for the season and good value at 12 Euros a day. Santa Eularia is packed with restaurants, evening meal on the first night was seafood paella 7/10. Riding day one – We had with us a guidebook that purported to describe the best eight of the twenty or so signposted trails on the island. Route 20 was supposed to start from Santa Eularia but there were no signs anywhere. There was a route 5 which seemed to go our way so we followed it. The first part of the route followed the coast, sometimes new housing developments blocked our route, sometimes we lowered bikes down grade 2 scrambles. Cafe stop number one Cala de Boix, tuna salad 7/10. On the island there are a number of stone built watch towers and we took a detour to visit one at Valls. Crash number one, the author going rather quickly round a bend lost control and skidded on gravel, may have confused the brakes, which are the opposite way round in continental Europe. Fantastic gravel rash and later colourful bruises. After to the coast paths we followed quiet lanes back to Santa Eularia. On return we stopped at a bar on the main tree lined avenue in the centre of the town run by a Norwegian/Guatemalan couple – this bar became the obligatory post ride stop. Evening meal after much deliberation at a Michelin starred place costing twice as much as the previous night, but not twice as good. Riding day two – Route 21 from our book, still no signs but similar to a Route 2. A very hot day particularly as we pushed our bikes up a steep dry river bed and past the second highest hill on Ibiza. If it had been the highest we would have made a detour to climb it. On the way down crash number two, the other YAC member this time – lots of noise, over the handlebars, bruises to body parts and a distant spec in a video. Cafe stop number one, St Joan 9/10, service included antiseptic and ice packs for our injured. After the cafe stop headed north to a a point from where we could see a lighthouse on the northernmost tip of the island. Thereafter superb single track to St Vincent and cafe stop number two, surf cafe, just drinks, no score. Back to our bar, then evening meal, pizza 8/10, ice cream cafe 8/10, Abba tribute band 1/10. Riding day three – Followed a route 6 with a big climb/coastal scramble variation taking us anticlockwise from St Eularia to Cala Llonga – stone sculptures of a turtle and a salamanda on route in Cala Blanca. Terrain as hard as the first day. Great views out to sea (Not just of the naked sunbather in what they though would be a quiet secluded place, only to be disturbed by five mountain bikers). Cafe stop number one, beach, Cala Llonga, sardines, chips & salad 9/10. Tracks and cycle paths took us to cafe number two at St Gertrud(is)e, cakes 10/10. Tracks & quiet roads back to St E and our bar. Evening meal in “trendy” “organic” restaurant, food 9/10, island craft beer 10/10. Day four – early start meant a quick dash to the hotel restaurant for breakfast things, flew home, no aircraft incidents. Make sure when travelling with a certain member of YAC they keep hold of their passport otherwise you might end up crawling on your belly down an aeroplane gangway looking for it. It turned out to be a good idea to take the holiday as a package, flights, airport transfers, bed and as much as you can eat breakfast, no need for a hire car, good bikes, we flew out on a Monday and back on the following Friday. GPX files of our routes are available, contact Peter Evans. Maps are not as good as Ordnance Survey, we had to check our position with GPS several times. There is a 200km mountain bike tour of the island for a next time. We will be going somewhere sometime for dry conditions in hot weather, after an inevitable wet and muddy British winter. … but we didn't, we went to Brown Cove Crags. On a stunning day Mike (being only slightly ill) & I (Rob being only slightly stupid and being awoken at 6.30 in PJs) responded to Dave W's call to hills and headed over to the Lakes. Parking in the layby we walked through Swirls car park – which is now free (well the machine has been busted for months apparently) and upto the cove in improving weather. 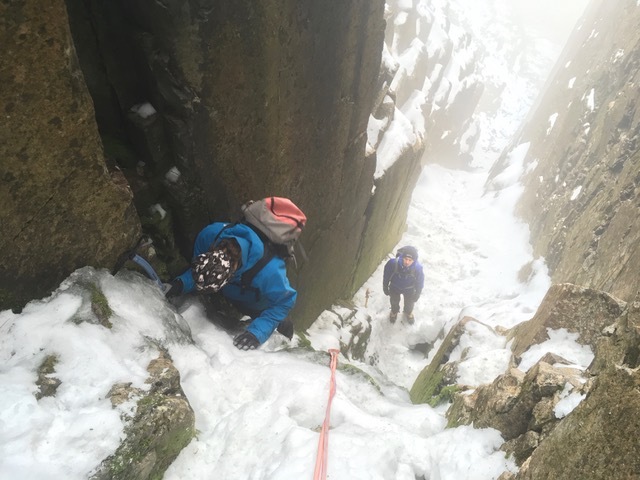 We were not sure what we'd find given the preceding week's weather, the crag certainly looked wintery. In reality, there was a smattering of new soft snow lying on top of waterlogged old snow that in places was great but mostly was only just ok. Some turf was hard but most was rubbish so we kept off the turfy buttresses. We headed up a lean Central Gully mostly on our feet with an occasional gymnastic move off a hook. Towards the top we headed left across the buttresses which was fun. Nearly all done with 1 axe, Mike didn't bother with cramps. On top the weather was stunning and the views of the rising snowline on Skiddaw group picturesque. Dave and I descended Left Parallel Gully and came back up Right, both easy grade 1 plods with no real interest, but good to get the feel for the snow. Back on top Mike had built a bollard and we did some skills revision (stompers, NZ stompers, bucket seats, buried axe and boot-axe belays and body belaying – as well as rope coiling to make Mike look like a professional alpinist. I then suggested to Mike we test his bollard by abbing down the gully, I was very suspicious of the size. As Mike weighs next to nought the abbing went ok but when I asked him to jump and pull on the rope it got a little more exciting. It was quite interesting watching the rope cutting through 3/4 of the bollard. Luckily I had him on a separate belay. Enlightening. After some lunch, we strolled up to Helvellyn summit, observing the faces, lack of cornices etc, to see how the busy Red Tarn face was. We toyed with the idea of descending and doing a route but in the end, just watched the teams coming up and left in a bit of mist. As we headed back along the ridge, we watched a young woman and mad dog (Duke I think) bounding up the face from the snow bowl. We were amazed at the Duke's performance and the woman looked clearly competent making short work of the snow slope which steepened a bit, no more than Grade 1 territory. We spoke briefly at the top as Duke ran around enthusiastically and we wandered off just as she called down to her male partner to check on him. A nice stroll back down, observing a helicopter, and we were on the road fairly early and back in York for 7. Only then did we find out about the epic that unfurled behind us. Apparently, the woman's husband got into difficulties with bendy boots on the headwall and requested help from nearby climbers (Wes). 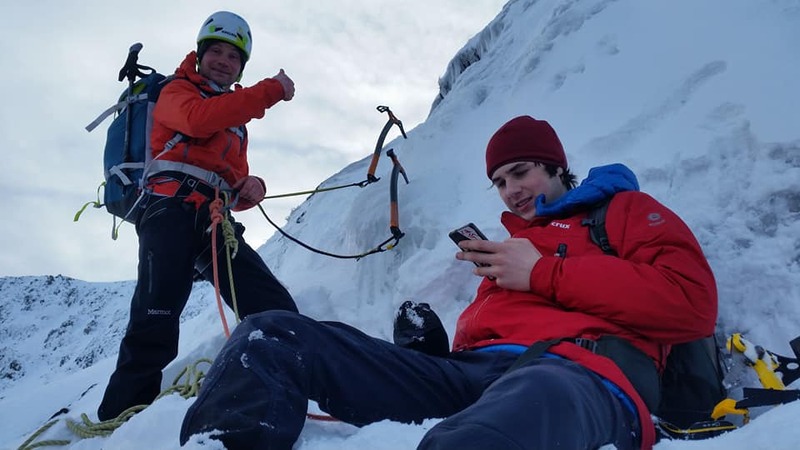 One of them grabbed a couple of axes and in his haste to reach the climber, tripped over his crampons and went head first down the snow bowl for 150m. He was rescued by his mates (while Alan Hinkes sorted the stranded climber out) and walked off the hill for while until feeling bad and calling MR out. A few busted ribs is all the long-term damage. Quite a day for learning opportunities! pix from Mike, Daves camera broke, I forgot mine in rush ! On Sat. 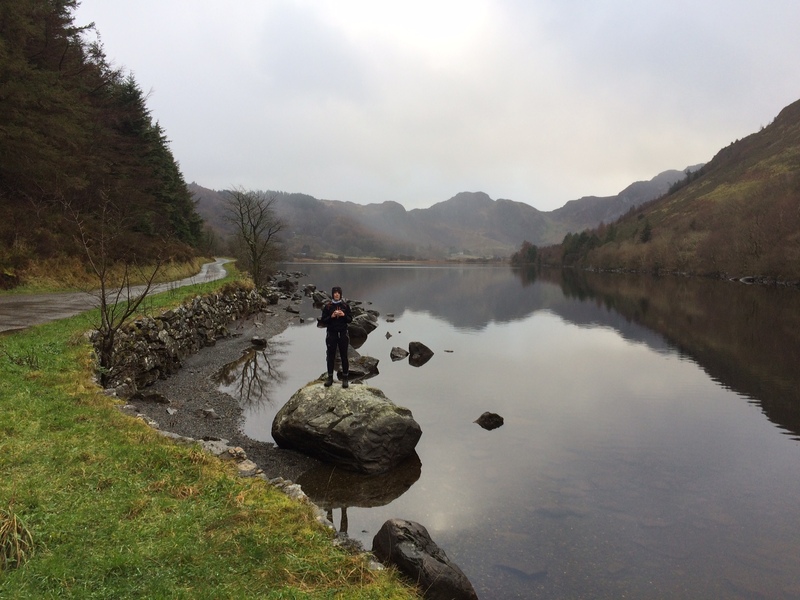 Peri, Mike, and Rob did the early(ish) start and drive to the Lakes to check out Blea Water. Arriving at the car park about 8.30, the drive being interesting for the last few miles along Mardale. It was a bit warmer than hoped for and the mistier but we were walking by about 9. 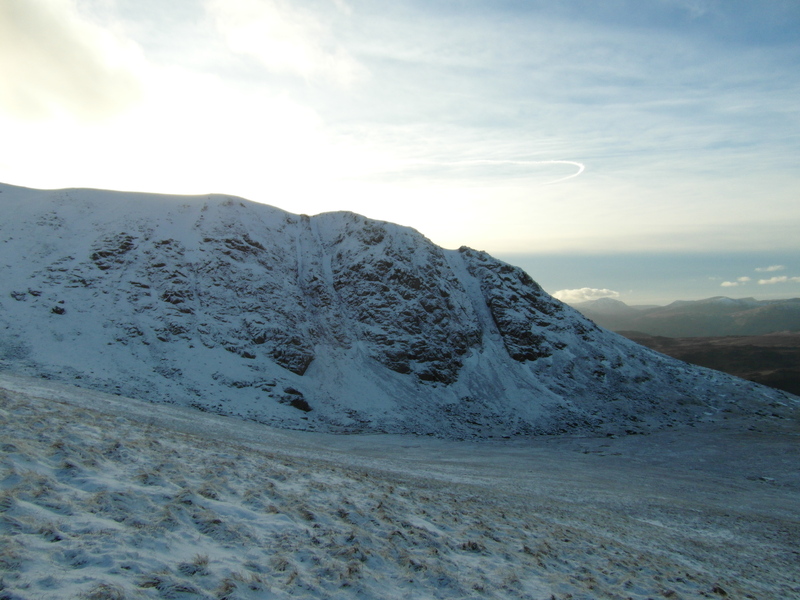 The large snow deposits had made the hills very pretty but the walking awkward. the snow was soft and deep a but fortunately, there was a trail to follow! The walk-in should take about an hour to the tarn but was a little longer and once we had sorted out our destination we skirted the left edge of the tarn and arrived at the chimney pitch to be greeted by Yorkie Jim Croft and his son Euan. We thanked them for their hard work trail bashing and chatted about the poor quality of the ice in the chimney. Rob had a look and declared it climable but a long way from good. Jim & Euan were contemplating bailing but we decided as a team to skip around the first pitch and head for the main icefall which looked ok. When I say skip, what I mean is swim. Snow up to our waists and soft and squishy. Never felt like it would slide off but it wasn't reassuring. After a bit of a battle, we all made it to the buried belay ledge and dug out the boulder. Mike set off leading up some bulging ice with an awkward step. Peri followed and I went up a little to the side. 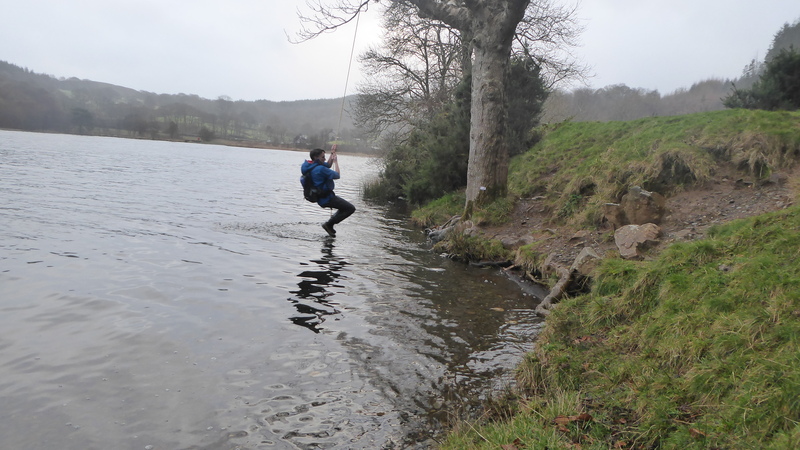 Jim then led Euan up, who learned the hard way about getting cold hands whilst belaying. The belays are not that great at the top and it took Mike a while to find a decent spike at 50m. Jim on longer ropes found a place to bring up Euan. 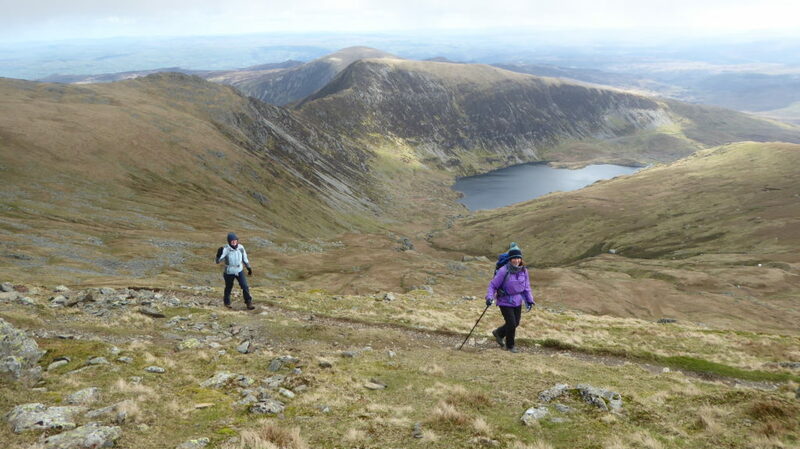 After that pitch Jim and Euan decided to head off home, traversing the hillside and back to the tarn. Rob led a pitch with some icy steps and we unroped after that. Stumbling onto the summit ridge we were greeted by a wonderful sunset, and we traipsed off over Mardale Ill Bell and down to Small Water – a lovely wee tarn with a group camping. We nearly made it back to the car without head torches and the drive back (after pushing a tourist out) got us back to York for 8ish. 12 out o f a possible 18 of us made it on the Lakes meet in the end with various ailments causing last minute drop outs. 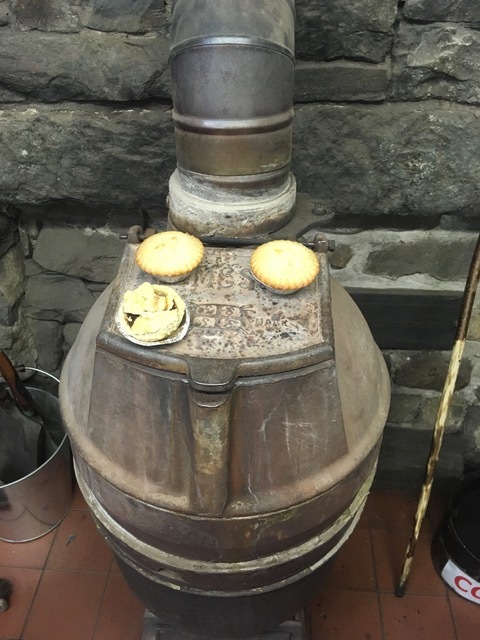 The semi-healthy remainders made it to High House – a great spot in Seathwaite (just past the farm) which was soon cosy downstairs thanks to the 2 pot bellied stoves. Unfortunately, as per YAC tradition things had warmed up a bit prior to the meet. Paul & Jamie went across on Friday and failed to find climbable routes on Gable and so went for a walk instead trying to check conditions elsewhere. Undeterred on Saturday Rob, Liz, Pete W, Jamie and Paul headed out for a look at Great End and a walk over to Scafell. 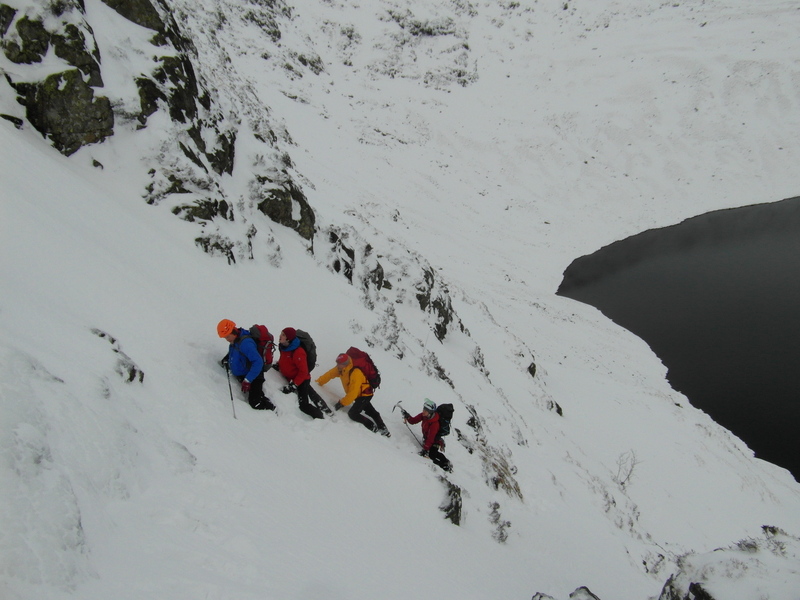 The conditions at Great End were lean but Custs Gully (I) looked ok and a bit of fun so we headed up as a team. The usually banked out steps were short icy pitches, made all the more interesting with a single walking axe and crampons each. It was a fun way up to the plateau. 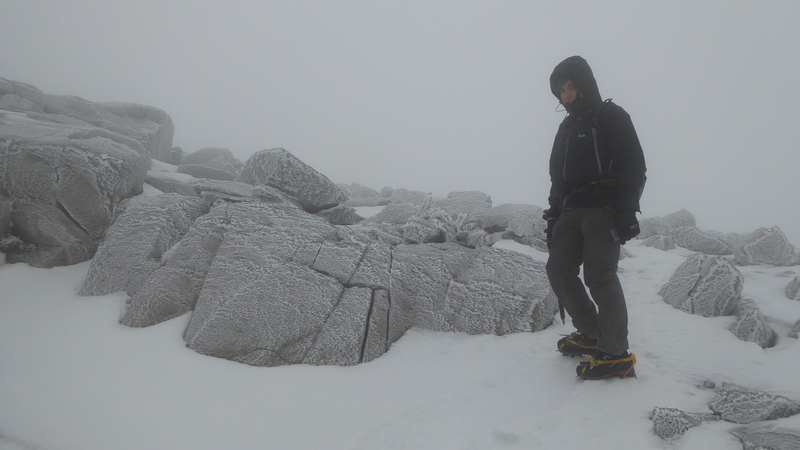 Conditions on top were very wintery, good neve for the walk across to Scafell where we stopped for lunch. Back to Esk Hause were we de-cramped and took bets on the how long we'd stay on our feet (about 25 seconds for the record before one of us went flying). Two headed down to the hut under Great End crag and the rest over Allen Crag and Glaramara, the final hour or two in the dark meant we ended up below rather than above raven crag on the decent but a short detour took us back to the path and finally the hut in the rain. An excellent day out. Simon and I took a similar route but starting over Seathwaite Fell and over Great End (missing out Custs gully), finishing off the day with a steep descent off Glaramara. 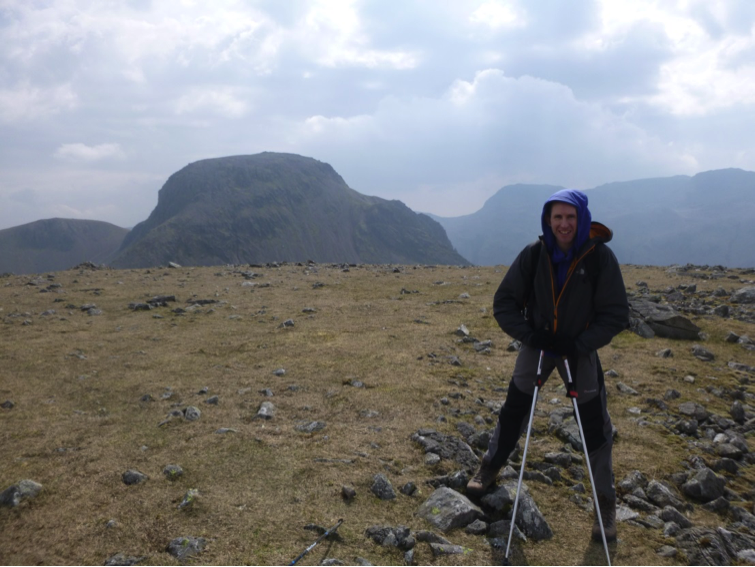 Alan went to Scafell via the corridor route – we bumped into him at his lunch spot just below the summit and parted company at Esk Hause. Pete E and Annie went to Esk Hause and Glaramara before spending far too long in the pub 🙂 Karl took some route via Glaramara to the pub. Saturday evening we ate lots of soup (thanks to Rob), followed by plenty of haggis, mince pies, some interesting parcels from Jamie and finally Christmas pud. Karl rapidly ate lots and fell asleep (glass in hand, quelle suprise!). On Sunday Karl & Liz headed straight back, as did Alan. Not sure whether Annie and Pete got anything done on the way back. Rob and Paul went towards Great End (about 30m) but returned to the hut when the heavens opened. Jamie didn't even get that far. Meanwhile Pete W enjoyed a long run up to Honister and back over the ridge to Cat Bells and back via the valley. As my head was hurting and we had a new toy (camer a) – Simon & I went to Leighton moss (RSPB reserve) bird watching – which was good, a great reserve with plenty of hides, we didn't spend long on the raised platform as the wind was bitter. Note quite the winter climbing weekend we were hoping for – but still a good weekend away. Seven of us made it to Wales for the early December meet – only to find that the cold conditions earlier in the week had gone and were replaced with somewhat milder and damp conditions- doh. 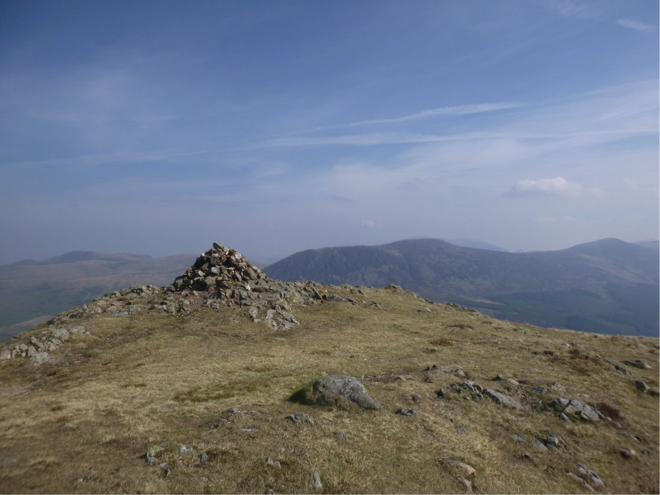 Simon & I went for a walk/jog from the hut over the Creigiau Gleision summits and Craiglwyn back via various tarns (one with a swing) and forestry tracks. We were first back (slightly unusual occurrence) got the fire going and started chopping. 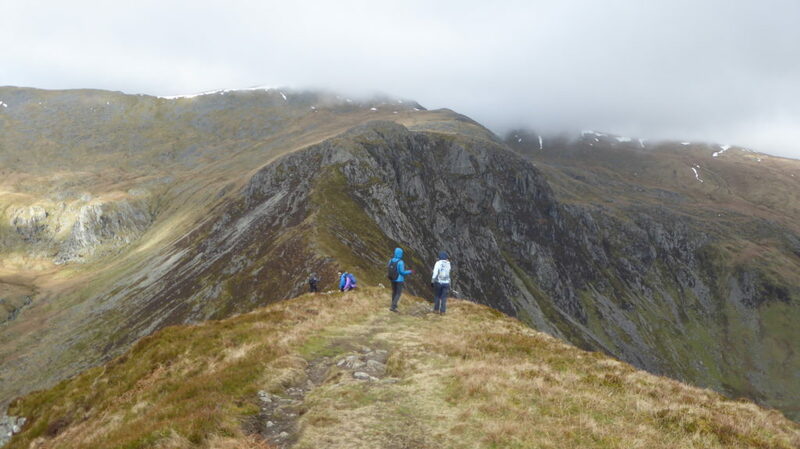 Meanwhile Justine & Gav did a similar but lower level variant of our walk/run (sensibly deciding not to take in the summits due to a lack of waterproof trousers) – it was rather wet! Saturday eve we sat around with a roaring fire and consumed my rather green (possibly challenging) soup (spinach, pear and Roquefort). This was followed by a great chilli from Gav (nicely spiced with hot and mild variants on offer). Then when we didn’t really need to consume anything else we moved onto mince pies, cheese & biscuits (thanks to Pauls early Christmas leftovers) and port. 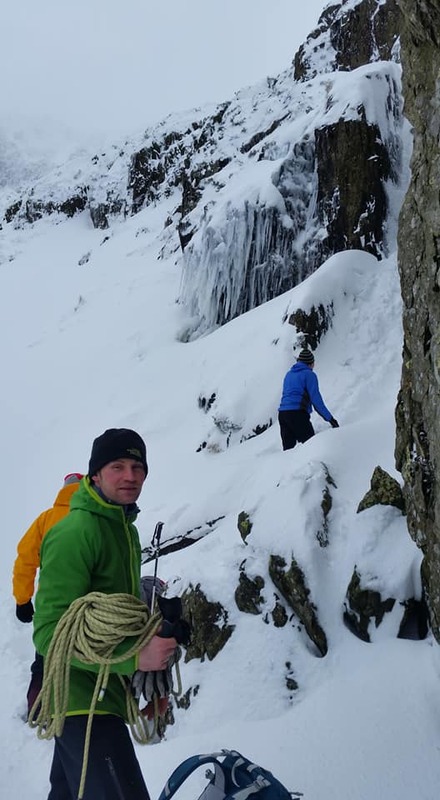 On Sunday, Paul, Rob and Mike undeterred returned to find the correct scramble – and believe that they did helped by somewhat better conditions and people ahead of them on the route. They moved together roped up for protection utilising spikes and threads for runners with the odd gear placement. 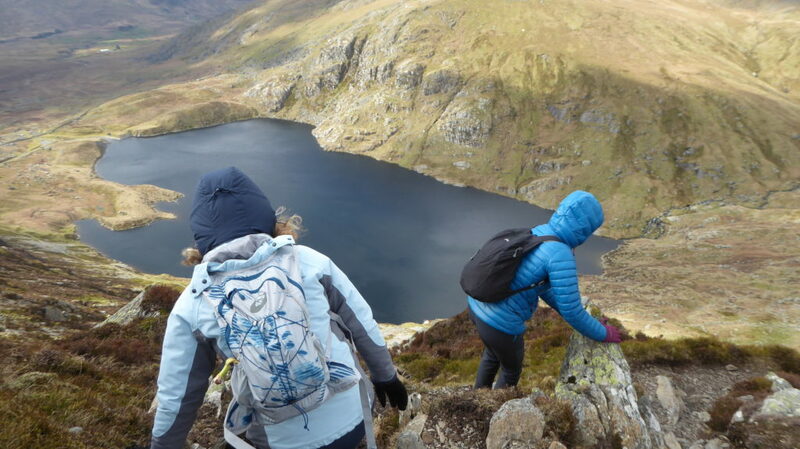 – "Great scrambling with lots of options to make things easier or harder and really nice that the ridge takes you all the way to the summit, would have been even better in the dry (can confirm it is good in the dry – did it in January!). 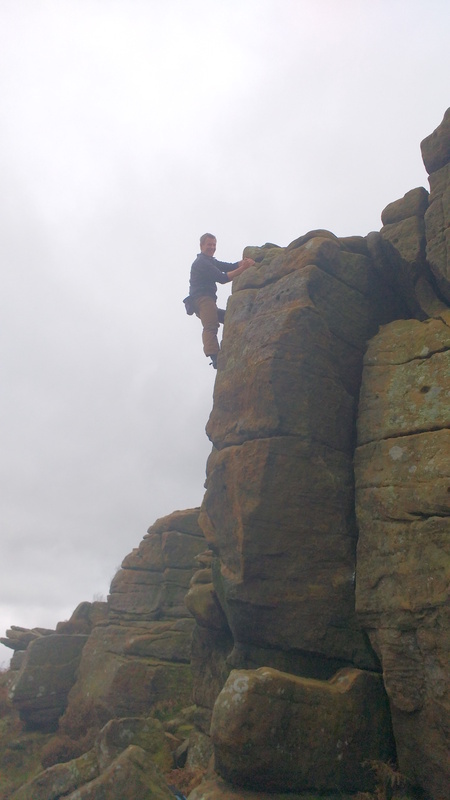 – Got some nice views of the main Slab witch looked really good, need to go back on a sunny day and do some of the routes". 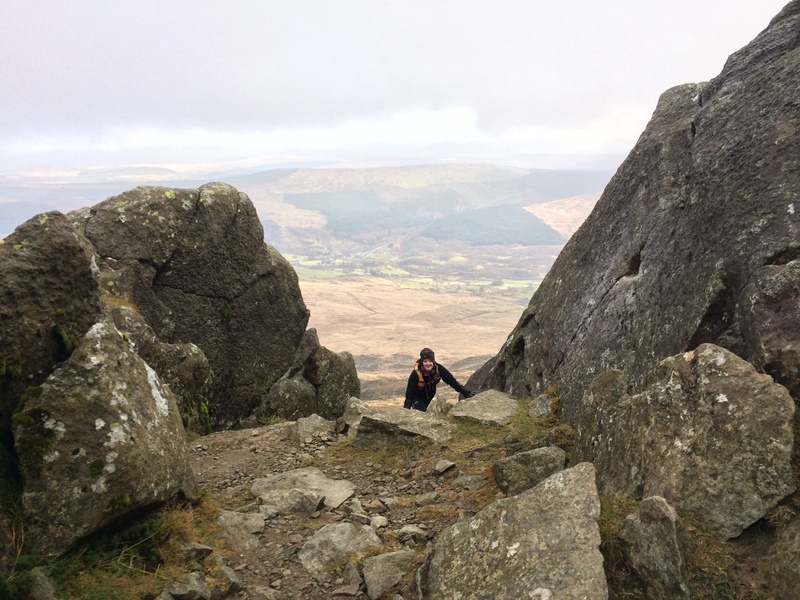 Simon & I went for a walk/jog up and down Moel Siabod – note rocks are very slippery in the wet. 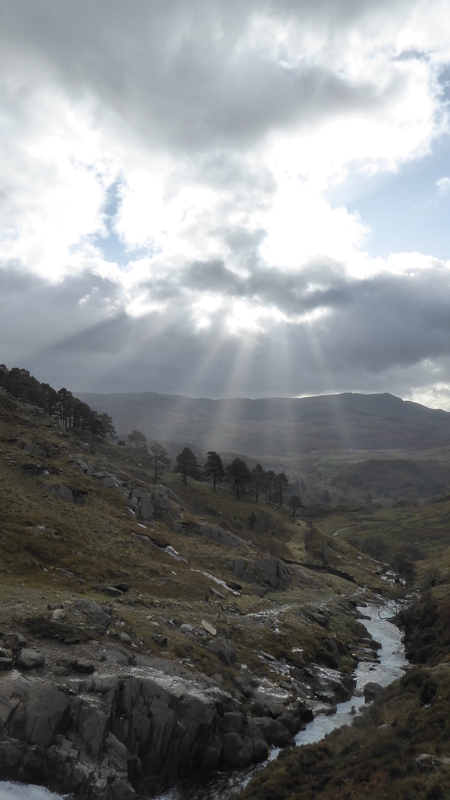 We even had short spells of sunshine before conditions greyed up again. 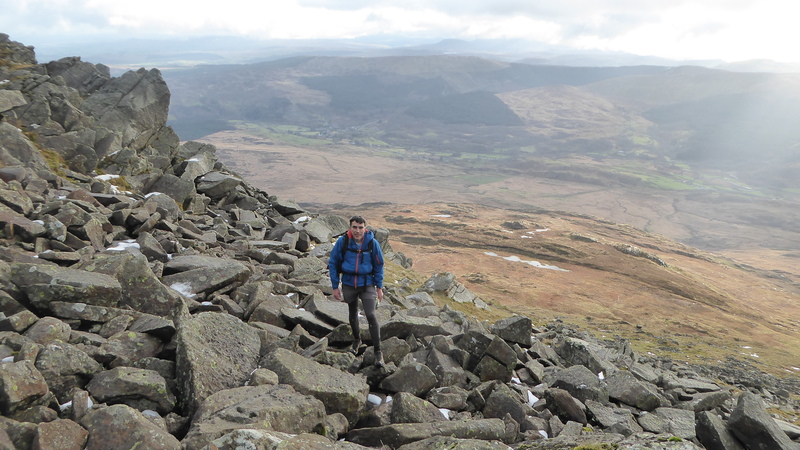 Justine & Gav also did Moel Siabod with a slightly later start. Back to the hut early, a bit more cleaning & packing and we were off early – time for Simon’s winter boot shopping in Joe browns before the drive home. 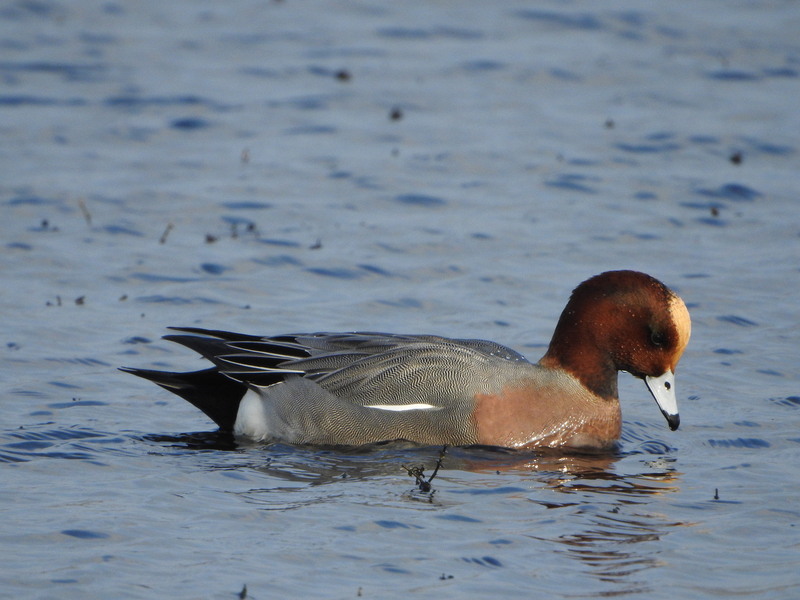 An enjoyable weekend – if not the snowy conditions we had been hoping for. Paul and I headed up around lunchtime for an afternoon bimble at Scuggy. We packed our wellies(always a sound idea for the approach) a couple of mats and flask of coffee. There was one other team at he crag and no big surprise. It was grey, overcast but with a strong wind drying the exposed faces. 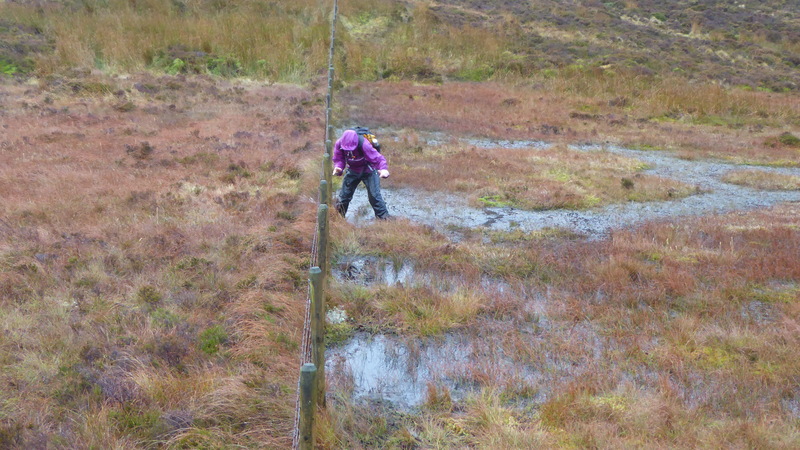 We ticked a few routes down the far end, kept out of the puddles, fell off Tippling Wall, a lot, and stuck to the dry rock. Where exposed to the wind the rock was fine but in the shelter very damp and scritty making it uncomfortable and nervy as well as potentially damaging so we avoided those routes. Pingers was Mingers. There's a new cafe in Swainby (closes after 5.30) called Rusty Bike or similar looks good but we thought it'd be closed so drove past. Aother jolly afternoon avoiding the housework. 9 out of 15 who had originally signed up braved the trip to Wales to meet storm Brian. 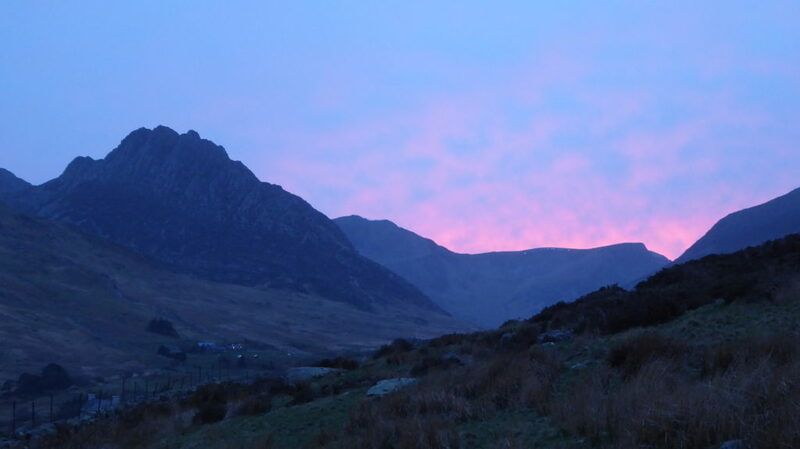 Admittedly Wales was not the best place to be heading during the storm – but as it turned out -things were not entirely bad. On Saturday Mike, Russ and Dave W complete with wet suits and buoyancy jackets headed off for a gorge descent – which they seemed to enjoy. Karl thought better of it and drove around Wales to buy some bolts and café visit. Pete W and Richard P went f or a run from the hut taking in Moel Hebog having to brace themselves against the wind to reach the summit. Afterwards they went around the copper mines next to the hut. 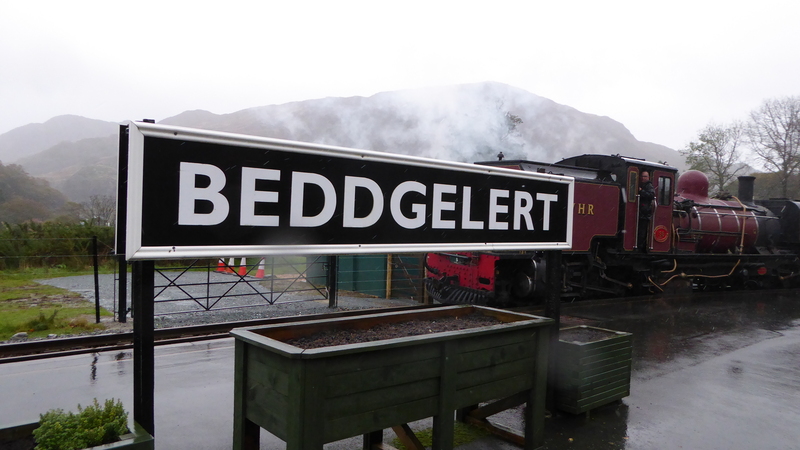 Annie decided to get the steam train from Bedgellert to Porth Madoc -so Simon & I decided to join her. 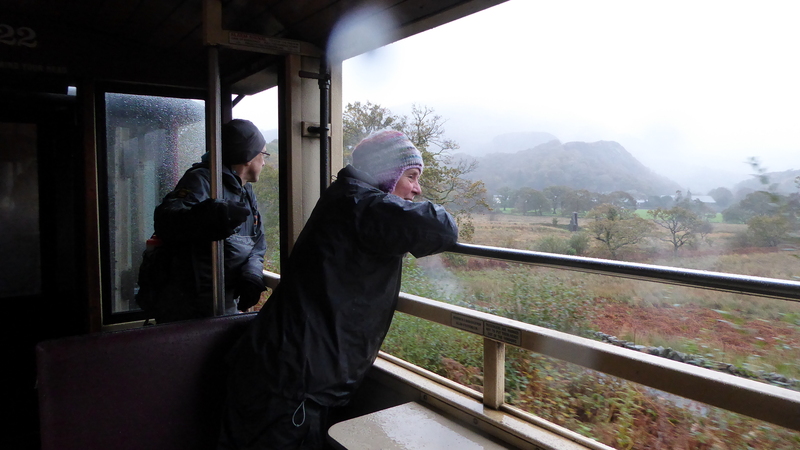 I insisted in going in the open carriage – we were already wearing full waterproofs from the walk to the station – so it seemed to make sense! Annie had a whale of a time waving and whooping as we steamed along. 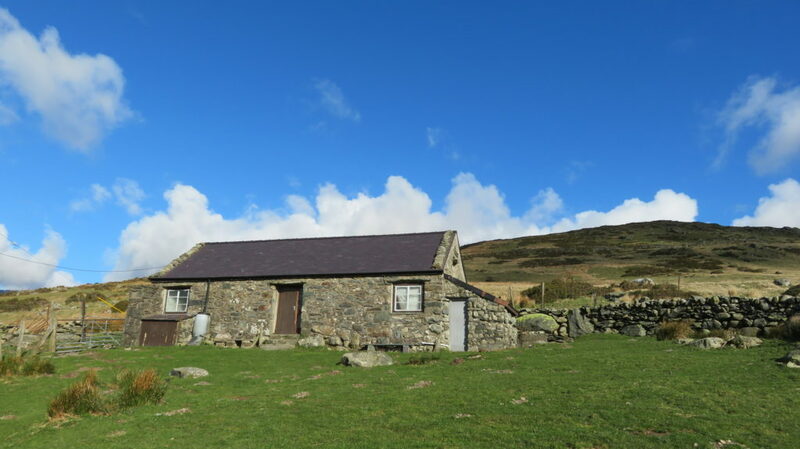 After a café stop at the station and a quick trip to Cobb records (S remembered the store from his childhood) – we left Annie and jogged/walked our way back to the hut, via the part flooded gorge side path and then the hills behind the hut. Annie got the bus back to Nantmoor and walked back from there. 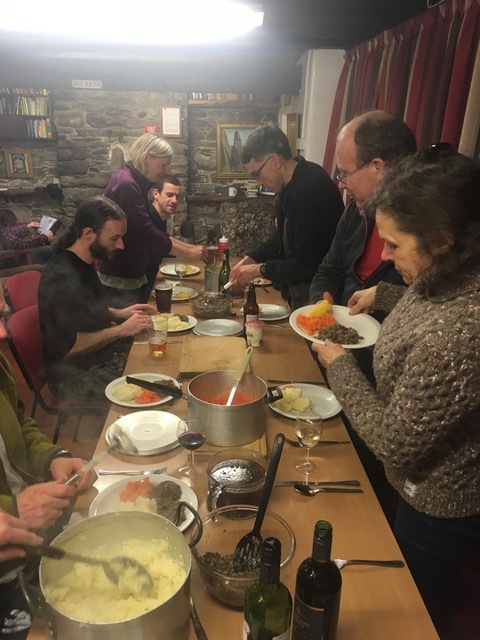 We all got rather wet and windblown but enjoyed getting out and earned ourselves lots of lasagne and peaches and brandy (plus merignues and shortbread) for dessert. On Sunday Richard P was the first out the hut – went for a run before the drive back to York. 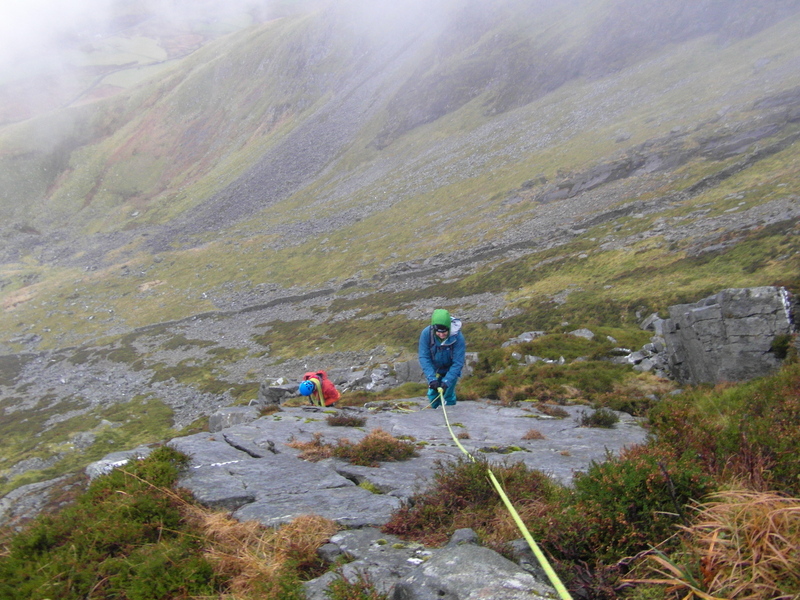 Dave W and Mike headed for Idwal slabs – wher e the did ordinary route followed by an alpine style ascent of the Sub Cneifion arete. Annie now a fan of the bus went off to Porth Madoc for a walk around the coast. The rest of us went for a walk up Llwyd. The weather had vastly improved – still windy but very little rain. 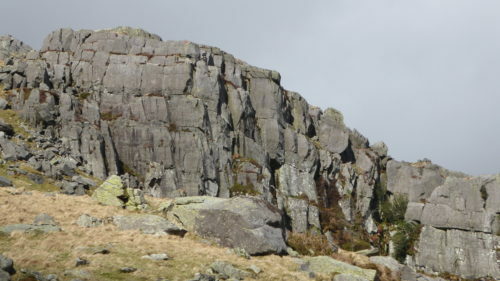 The scramble at the top of LLwyd was interesting with the occasional gust of wind. We found shelter for lunch in the mines on the way back down and then had coffee and cake (well some of us had cake) before returning to the hut to pack up. All in all a good weekend despite the forecast. The new hut was good – but with a few teething issues heating/hot water and door wise. 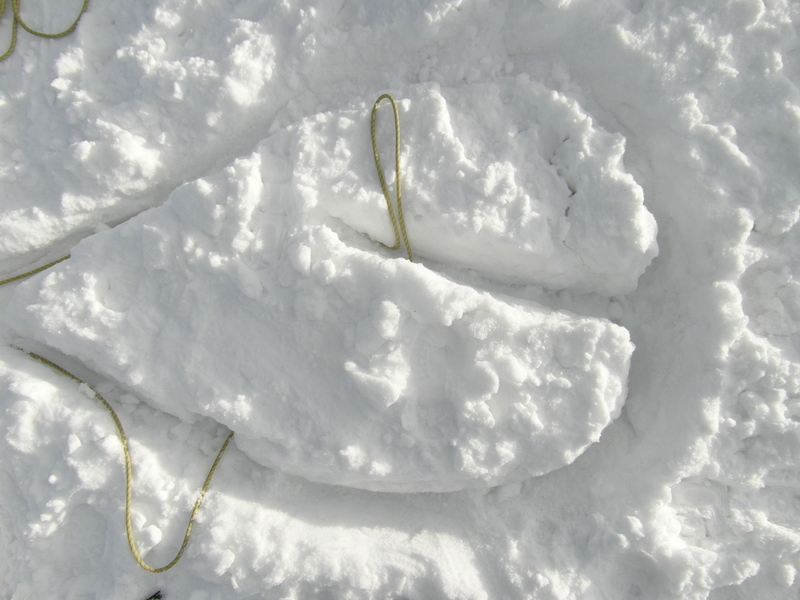 Having said that – the hut was plenty warm enough. Late April's bank holiday weekend meet was to the Fylde hut in Little Langdale, a place we know quite well, but a poor forecast put a few people off. 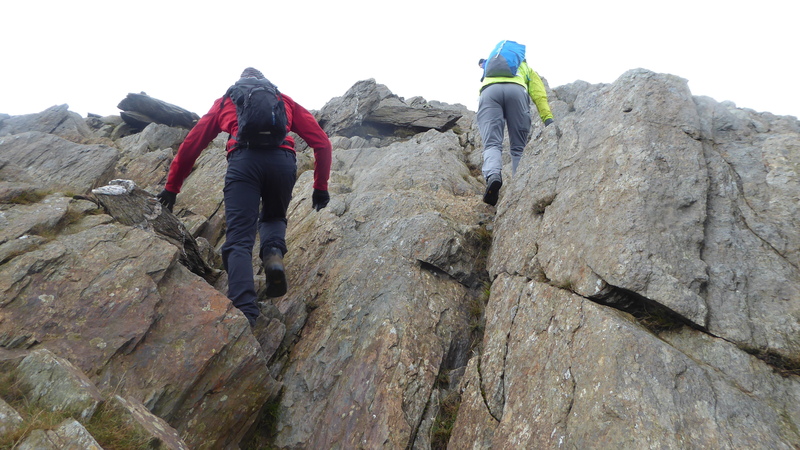 Carmen Donal and Simon went climbing on Saturday in Langdale proper, starting at Stickle Barn Crag and moving on to Tarn Crag, intending to do a link up finishing at the summit of the Langdale Pikes. 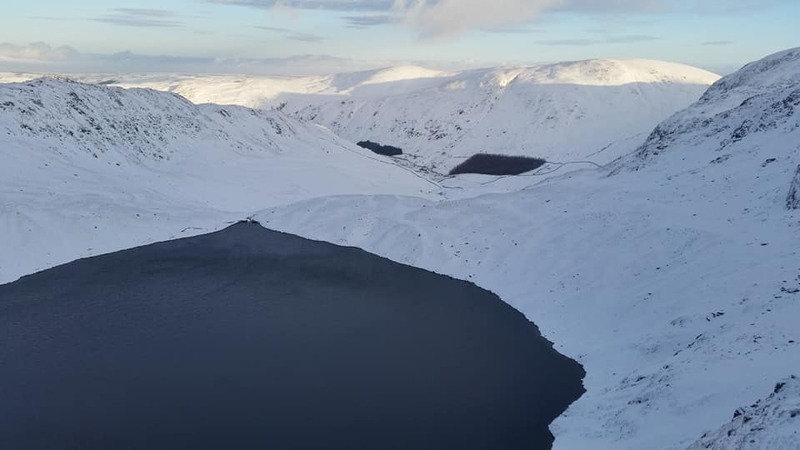 However, it was bit nippy in the fresh breeze so they stayed at Tarn Crag before descending for a couple of routes on the ever popular Raven Crag. 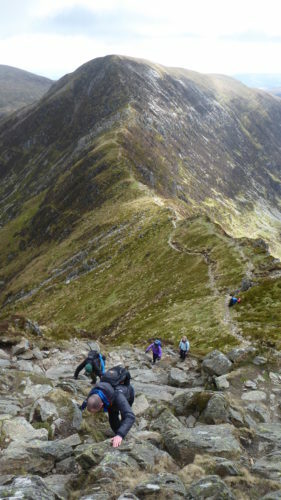 Pete B and I set off for the Ennerdale horseshoe a bit later than planned. Pete was ready at 8(!) but I didn’t reach faff escape velocity until well after 9 and a surprisingly long drive brought the NT carpark at Bowness Knott (armed with Rob's dodgy NT badge). However it was not a problem as the plan was always to bivvi somewhere half way round. 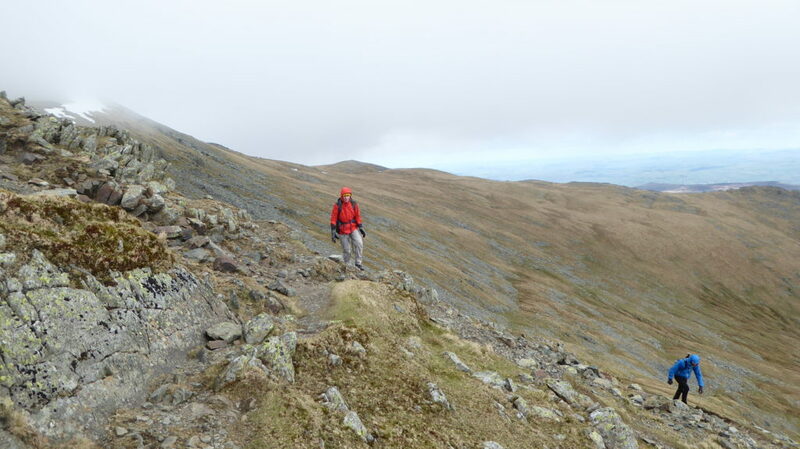 A stunningly clear, windy day striding along the ridge over red pike and up to High Stile and down to Haystacks. Pete found fantastic bivvi spot in a sheep fold just under Green Gable. All fed, tucked up cosy and warm by 8pm we enjoyed a beautiful clear night but with howling winds that brought down some nearby tents during the night. 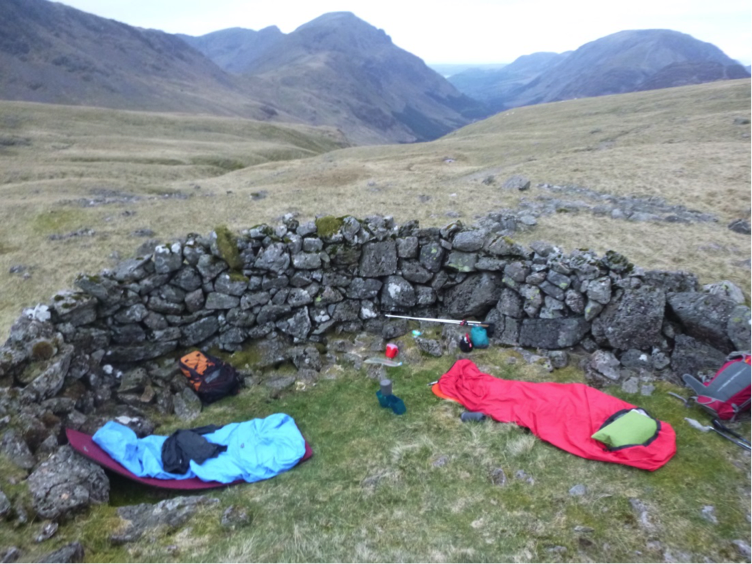 The shelter did its job and we were fine and didn’t even need to spoon (Pete B had bagged big spoon), which allowed me to sleep like a log for 10 hours waking briefly at 1am to look at the stars and pee a his bivvi bottle. Sunday was lovely but very windy (notice a trend!) and soon on top of Great Gable we met a group huddling behind the cairn. Pete overheard them congratulating themselves on getting to the top of Scafell Pike so easily. 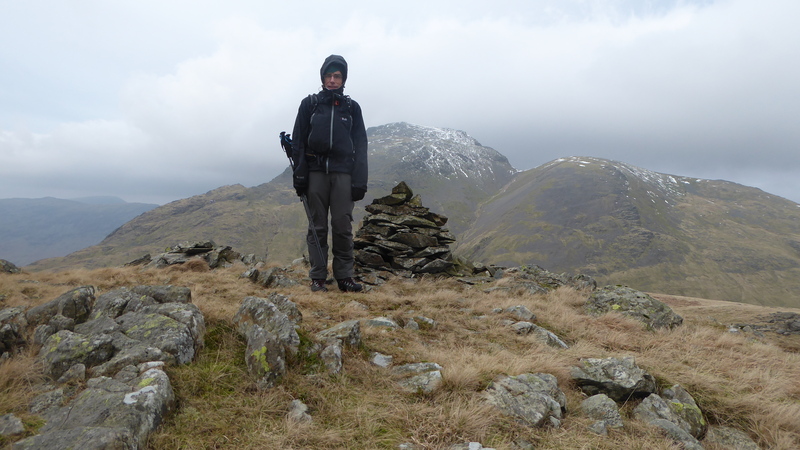 He kindly and gently pointed out Scafell Pike on the horizon and showed them on our map (they didn’t have one). A little deflated, but surprisingly undaunted they trudged off in their trainers. The wind got stronger throughout the day, at one point in a gap in the ridge, it sounded like a fighter jet and almost took Pete off his feet. Since my secret weapon is having no pride, I crawled across. A little later we met a little old lady, 75 at least and looking like my grandma, on her own coming up Black Sail Buttress. Happy as Larry and clearly fit as a butcher's dog. Up to Pillar and incredible views, but by now we had just about had enough of getting blown about so headed down Pillar to the quiet of the valley below. Back to the hut in plenty of time for an exceptionally big YAC tea. All in all a grand couple of days out. On Sunday Carmen and Simon went mountain biking. Donal had picked up and injury and decided to call it a day. Monday was forecast wet so Pete and Karl, already a little damp from bivvi bag condensation, decided to bail too. For Simon and Carmen though, Monday turned out to be the best day of the three climbing at Kettle Crag. A great turn out from the club for the first Banff mountain film festival to visit York. 17 members went along to enjoy the 7 films featured in the ‘blue’ programme. A good variety of adventure sports were featured including climbing in Tasmania, mountain biking, extreme skiing in the alps, kayaking through Papua New Guinea, trail running, a documentary on threats to an Alaskan salmon river from a proposed dam project, and finishing with some wingsuit stunt flying – plenty to inspire us for more adventures!